Analyzes the correlation between broadband expansion and economic growth in 1999-2006 by industry and area and its impact on wage, employment, and population growth. Explores the digital divide's causes and implications for economic development policy. 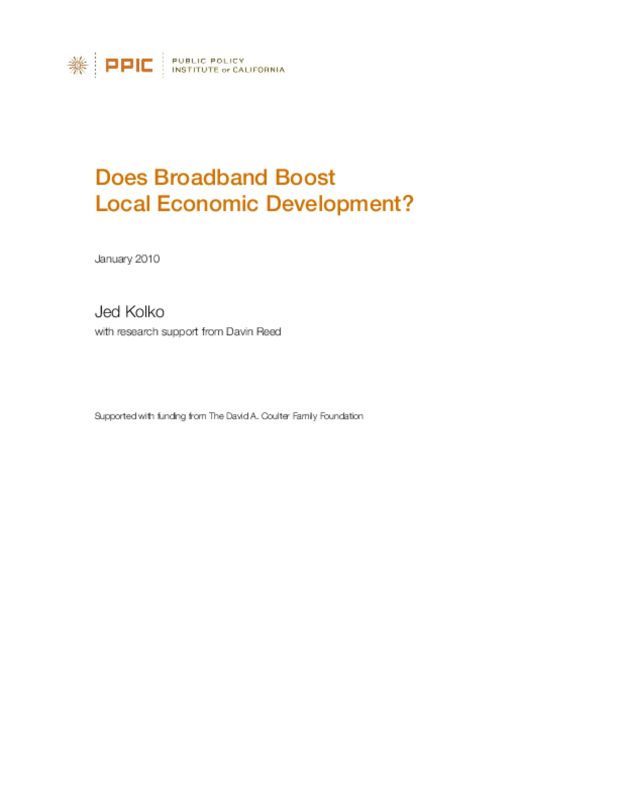 Title: Does Broadband Boost Local Economic Development?